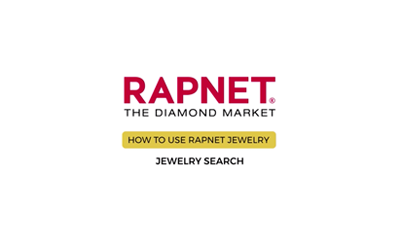 RapNet Jewelry offers you the unique experience of conveniently sourcing high end fine jewelry within the same platform as your diamonds, from trusted and reliable sellers who are vetted by Rapaport. It also cuts out transaction fees and helps builds new relationships with jewelry suppliers. Each jewelry piece includes one or more high quality image, displaying the jewelry from different views and angles so that you can make a more informed purchasing decision. Some pieces also include videos. Beyond having a beautiful look and media rich presentation, RapNet Jewelry has a wide range of user friendly features. There’s a fast and intuitive search engine with filters to save you time, plus you can save your favorite searches to load for a later date and store your favorite items for future reference. Watch this video to see how to search for the perfect jewelry piece. Sell your jewelry to professional and verified buyers from across the globe. Upload your jewelry products, expand your inventory portfolio, cut out commissions and grow your business. Uploading your jewelry pieces is straightforward. 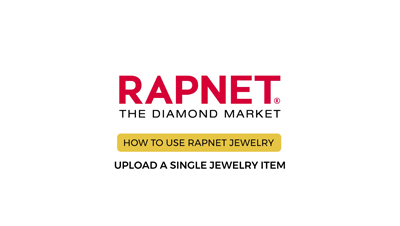 Prepare images, titles and descriptions of your jewelry products and either bulk upload or upload individually. 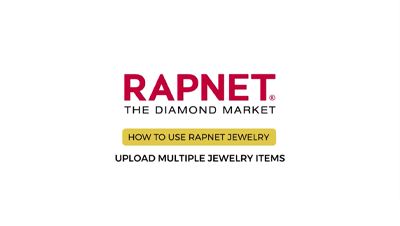 Uploading multiple jewelry pieces via a CSV file is the quickest method of listing many jewelry items on RapNet. This video walks you through the process. Each jewelry item must include at least one image and you can also upload a video, showcasing the entire jewelry piece from all angles. 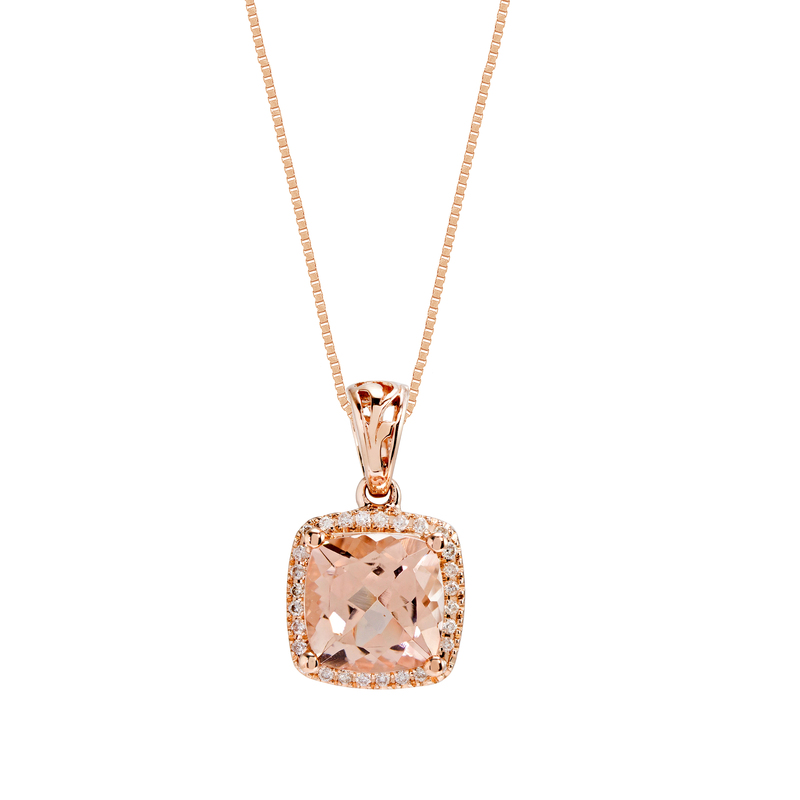 Each jewelry item is matched to the corresponding image. This video shows you how to manage your images and match them to your jewelry pieces. Accurate titles, concise and informative descriptions and high quality images and videos increases buyer trust and engagement and influence buying decisions. To help you, we’ve created a jewelry manual containing a Field and Values Dictionary, plus a compatible upload spreadsheet. Take perfect photos and 360 video of your jewelry! RapNet members can enjoy FREE shipping ($100 value) when purchasing the GemLightbox. FAQs can be found by clicking here. 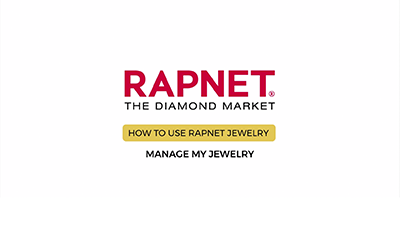 See RapNet Jewelry in action and have all your questions answered by a RapNet staff doing a walkthrough, followed by Q&A. Or contact your local customer service office with questions or feedback.